THE MUSIC WILL BE “OFF THE CHARTS” WITH SPARKLERS AT EVERY CORNER CELEBRATING VERY SPECIAL BIRTHDAYS AND IGNITING THE ROOM WITH THE BEST OF FRIENDS TOGETHER UNDER ONE ROOF. DOORS OPEN AT 10PM, NOOOOOOOO COVER, LADIES DRINK FREE BEFORE 11PM, BEAUTIFUL VIP, GORGEOUS DANCERS ON STAGE, ELECTRIFYING LIGHT SHOW AND AN INCREDIBLY SPECTACULAR MEGA DANCE FLOOR FOR YOU TO ENJOY. 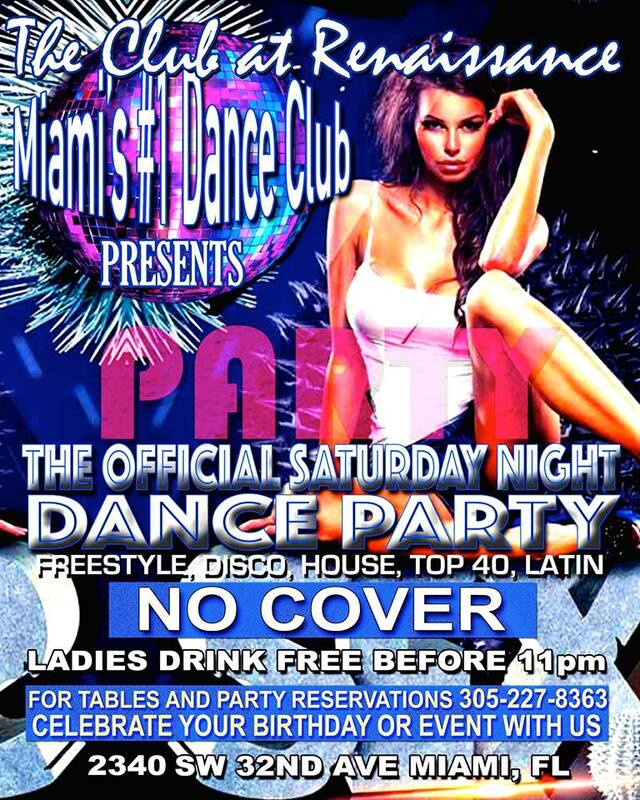 IT’S ALL AT THE #1 DANCE CLUB IN MIAMI, “THE CLUB AT RENAISSANCE”. WE’LL SEE YOU TONIGHT FOR AN “EPIC” NIGHT OF GREAT MUSIC, BEST OF FRIENDS AND FABULOUS FUN MAKING UNFORGETTABLE MEMORIES! !